The existing house was built in the late 70s. 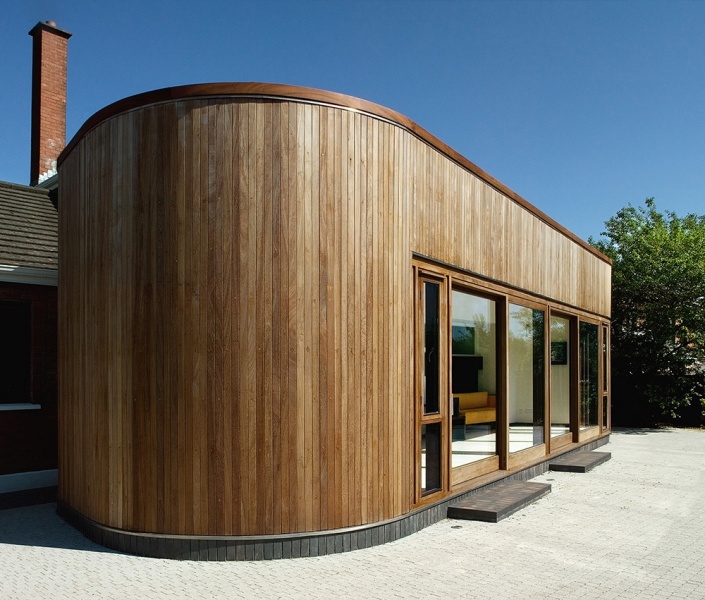 It is a detached house in an upmarket housing estate. 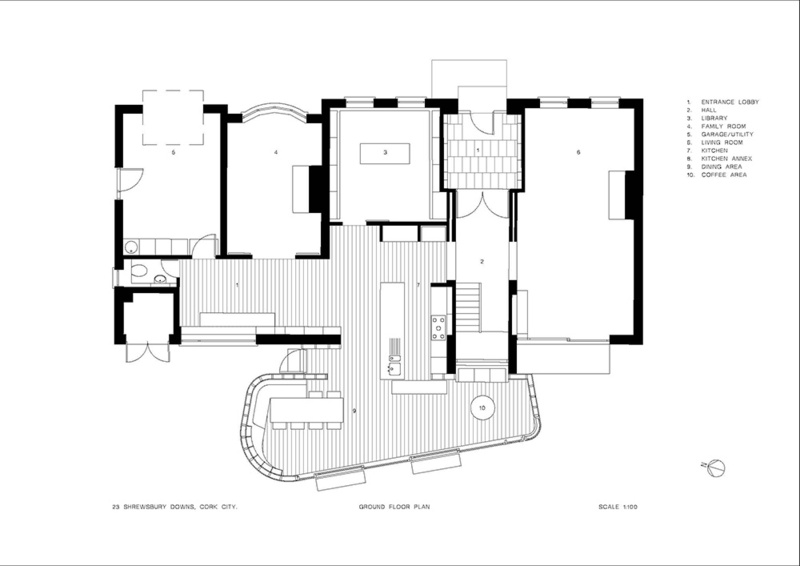 The plan of the house consisted of a conventional arrangement of cellular rooms arranged about the entrance hall. This type of plan reflected an outdated tableau of family life; the father in the living room, mother in the kitchen and children in the study! Our client, who had four young children, called for a reconfiguration of the plan to suit their needs. 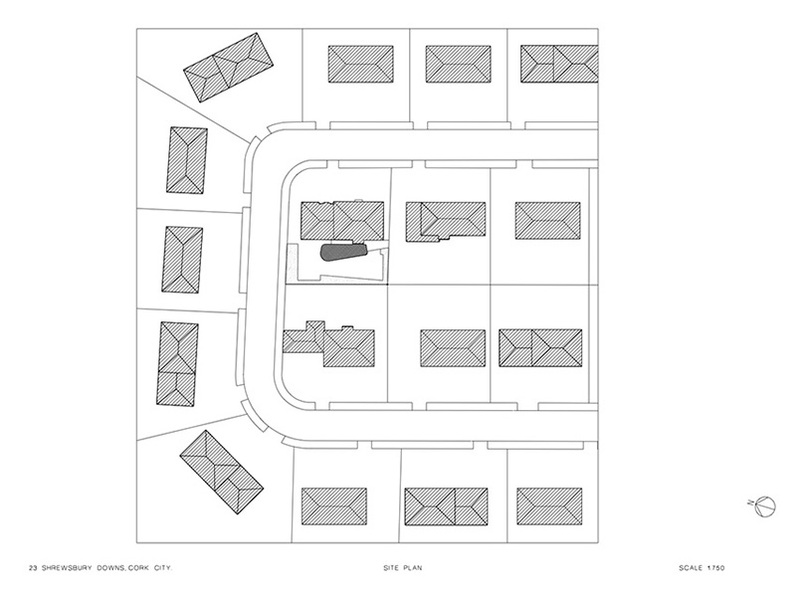 Although there was ample space in the house, the rooms were cellular; a more fluid spatial sequence would work with a more family centred lifestyle. 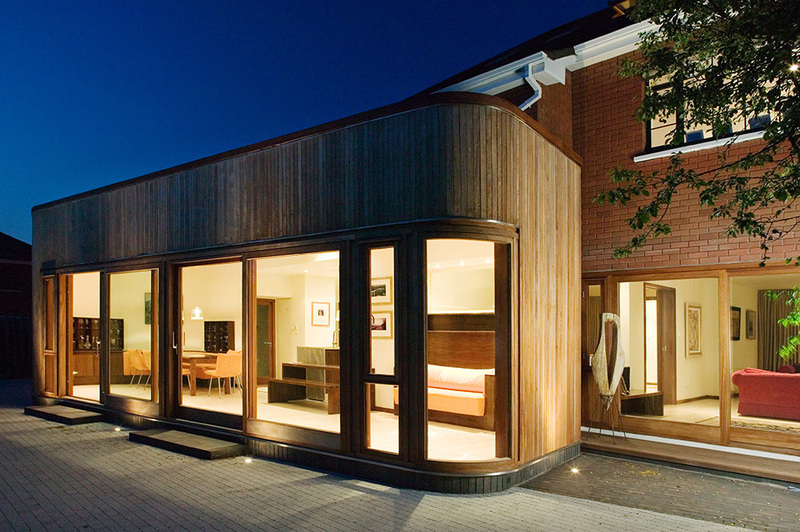 The house did not connect well to the small back garden and a small extension was suggested to provide space for dining and entertaining. 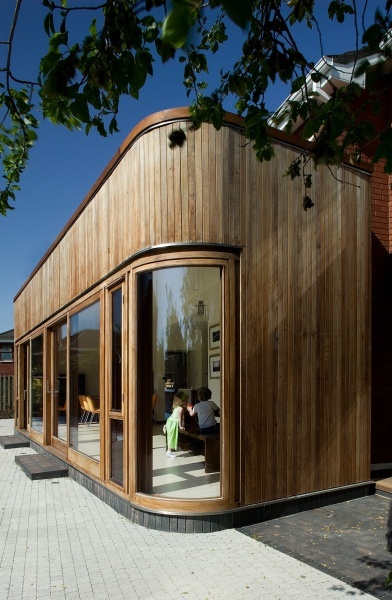 In terms of construction, the pavilion is timber framed with iroko rainscreen cladding and sliding doors. 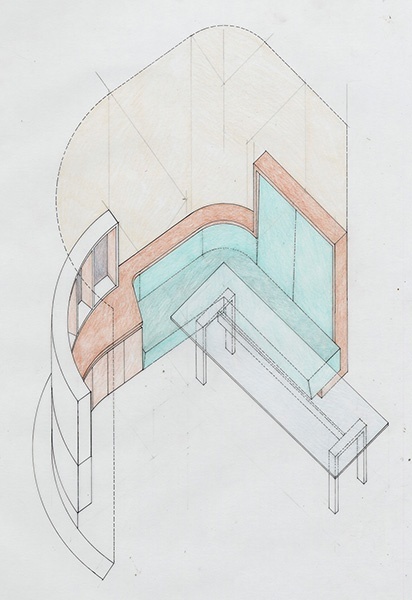 Internal joinery includes a curved banquette seat and childrens seat under the stairs window. The fabric of the house was generally in sound condition. Gratuitous details such as applied cornices and moulded architraves were removed. Key pieces of joinery were added, such as full height bookcases in the library, a window seat in the living room and homework desk in the kitchen space. The interiors are coloured in calm off white tones, including linoleum and bleached ash flooring. Carpets where required in quiet rooms are plain natural wool. 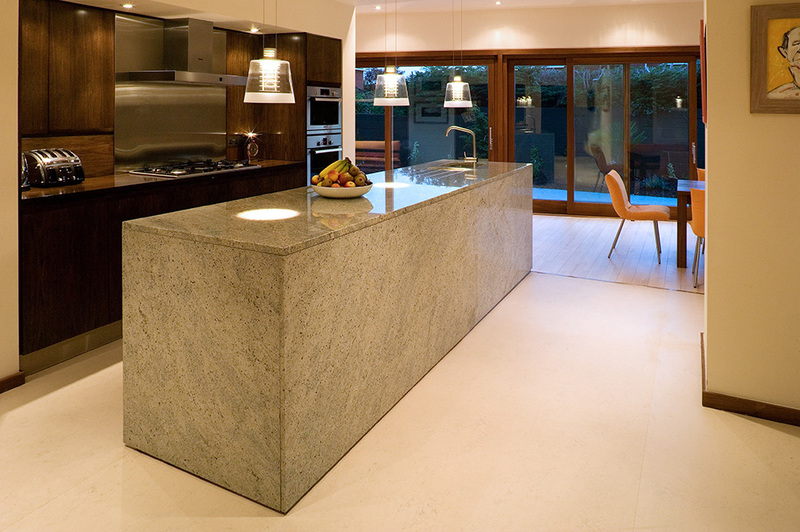 The kitchen island is Kashmir white granite. The seating is saffron yellow alcantara. 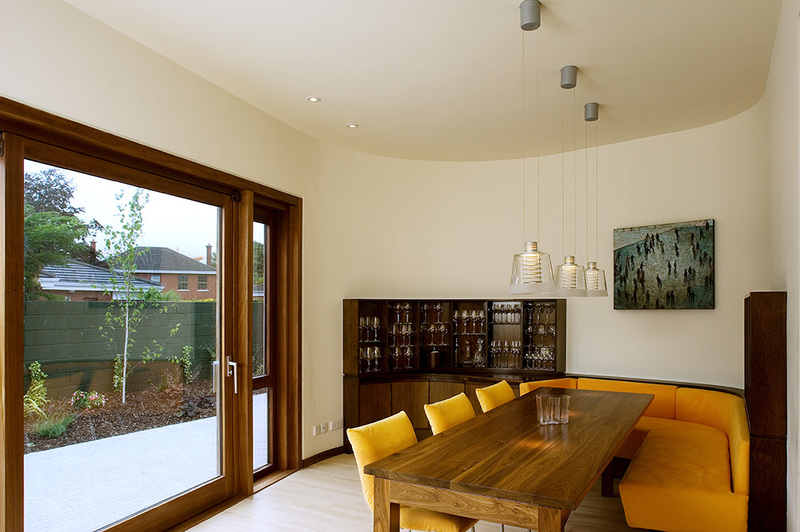 The contrast between the dark closed spaces of the previous house and the bright living area is significant. Views between rooms are considered and the spaces allow many possibilities for different uses.